Never tried a dosa? That’s a mistake we’d recommend rectifying immediately. These South Indian “pancakes” – thin, crepe-like, made from fermented rice and lentil batter, and stuffed with all matter of flavorsome fillings – are exceedingly, unabashedly delicious. And good news for those with large appetites: Indian dosas are generally cooked to generous proportions, and, even when folded, tend to extend beyond the edge of your plate. In the US, there are few better places to try this specialty for yourself than in the Bay Area. The region’s lively food scene has long made it a pilgrimage point for gastronomes, and its thriving Asian communities mean plenty of excellent restaurants to seek out. 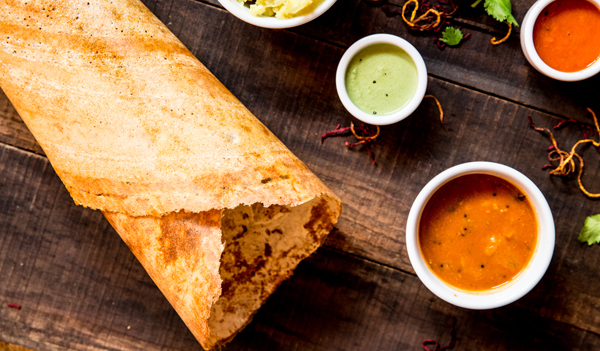 For those looking for quality, authentic fare, here are a few of our favorite places to try Indian dosas in San Francisco. Yes, it’s little wonder that the aptly named DOSA is ground zero when it comes to Indian dosas in San Francisco. 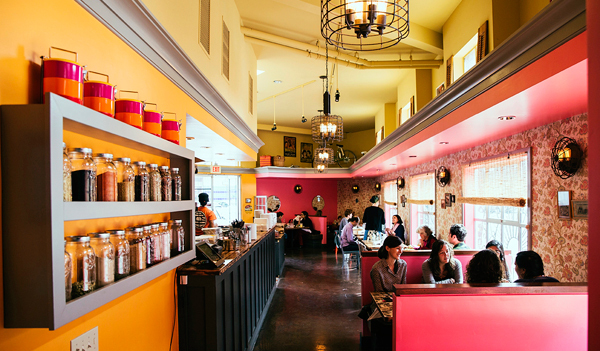 With locations in the Mission and Fillmore Districts, the stylish restaurant was founded by husband-and-wife team Anjan and Emily Mitra, and specializes in the diverse cuisine of South India. That means you can expect everything from idli sambar to Goan coconut masala on the menu, but dosas are, naturally, the true standout. 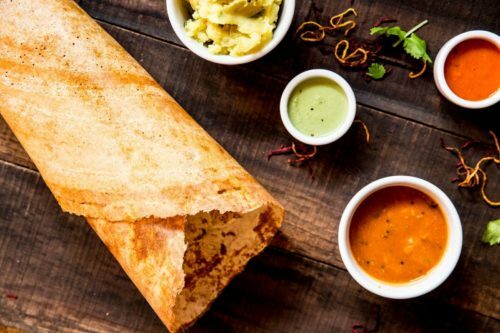 Opt for the classic masala dosa, which is filled with spiced, mashed potatoes and onions, or choose from roughly a dozen other options, including spicy basil and white truffle masala dosas. 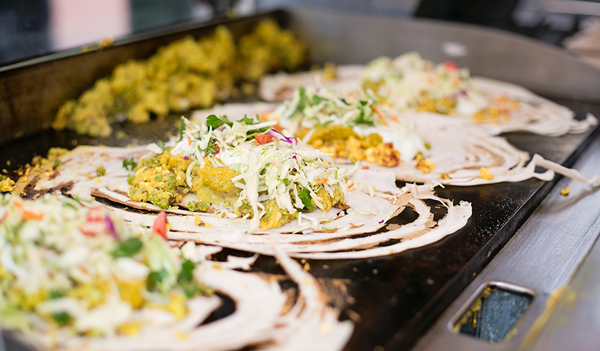 Offering a dosa experience that’s slightly more casual – but no less delicious – are The Dosa Brothers, who sling their creations at two different open-air stalls. Their dosa menu is unfussy: diners can choose between a potato pea curry-stuffed or a paneer matter-filled option (or opt for a mix of both). 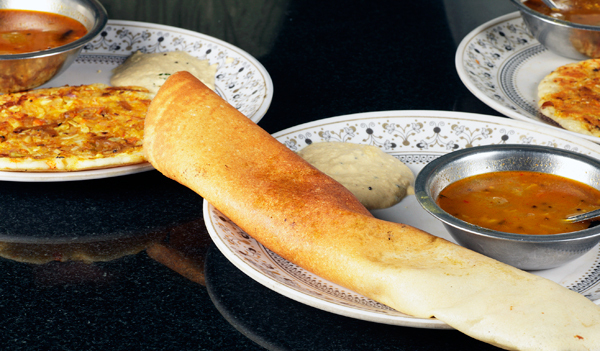 The generously proportioned dosas are then topped up with coconut chutney, sambar and “awesome sauce” – a blend of sour cream, jalapenos, and coriander. The latter may not be traditional, but it is delicious. The ever-reliable Udupi Palace may not look like much, but who cares when the dosas are this delicious, and generous (for the record, the average dosa share the proportions of your arm)? Dosa novices here have a dozen varieties to pick from, ranging from the unadorned sada dosa to the Udupi Special Spring Dosa, a Mysore masala dosa crammed full of fresh veggies. For the complete South Indian experience, begin your meal with a bowl of spicy, brothy rasam and moreish idli sambar. The Oakland-based Juhu Beach Club is many things: stylish, vibrant, and beloved by food world celebrities the likes of Anthony Bourdain. What it isn’t is wholly traditional. While Juhu Beach Club may not sling traditional Indian dosas, what it offers weekend brunch diners instead is a one-of-a-kind hybrid: the dosa-waffle, or doswaffle. Described as a “union of the South Indian dosa with the Belgian-style waffle,” they’re served both sweet and savoury. The truly indulgent can even order theirs topped with green chilli fried chicken and black pepper butter.